When you think about your last appointment in a dental office…does the term “spa-like” come to mind? Probably not. At Artistry Smile Center, we’ve invested extra time and training to make your dental appointments stress and pain free. We use the OraSpa and RestoraSpa systems to make visiting our Columbus dentistry practice feel just a like a relaxing day at the spa. If you’d like to find out more or schedule your first appointment at Artistry Smile Center, call our team to get started. We look forward to changing the way you think about dental care. Many dental offices promise a “relaxed” atmosphere, but what they deliver is the same old dentist’s office with a group of people trying too hard to be friendly. 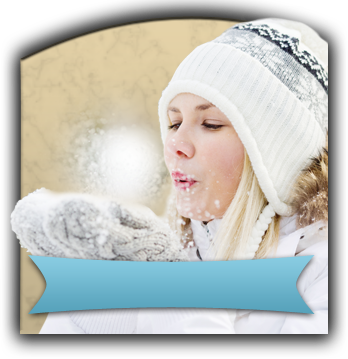 At Artistry Smile Center, our entire dental practice is different. It doesn’t look, feel, smell, or sound like any dentist’s office you’ve ever been to. Instead, you’ll enter a warm, inviting space. You’ll breathe in the soothing scents of relaxing essential oils. Soft music drifts through the treatment rooms. Instead of a dental team that is trying semi-successfully to be friendly, you’ll receive treatment from a team that is trained in providing care that actually make you feel completely comfortable. We are the first dental office in the country to be certified in the RestoraSpa relaxation during restorative dentistry services, and we utilize the full range of DentalSpa and OraSpa services to ensure our patients feel completely at ease in our office no matter what dentistry treatments they need. The DentalSpa techniques engage the senses to detract from discomfort and allow patients to focus completely on our soothing amenities. 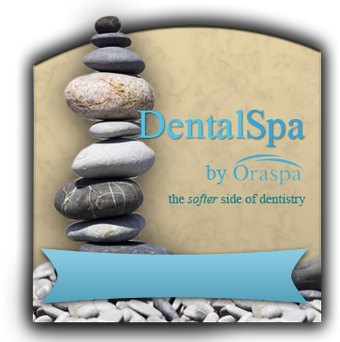 OraSpa – lay back and listen to soothing music, breathe in the scents of relaxing aroma therapy, snuggle into your warm blanket, relax into a soothing massage, and receive a thorough tooth-by-tooth cleaning. You’ll hardly even notice that last part. RestoraSpa – advanced restorative dentistry services are not always pleasant, but thanks to the RestoraSpa system, you’ll feel completely comfortable during even the most advanced dental services. 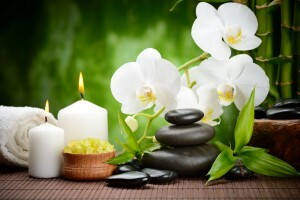 We engage your senses using essential oils, warm and cool dental stones, and diversional touch therapy. All of this makes your procedure feel like a spa day, and it relaxes muscles and reduces risk for inflammation following treatment. DentalSpa – your typical dental appointment is not so typical with our team no matter what your treatment needs, we’re here to exceed your expectations and make a day in our office feel like a relaxing day at the spa.